Vanaheim by CrowsToes is today's polish. The name might sound like Anaheim in California, home of Disneyland, but actually is one of the spheres in norsk mythology. 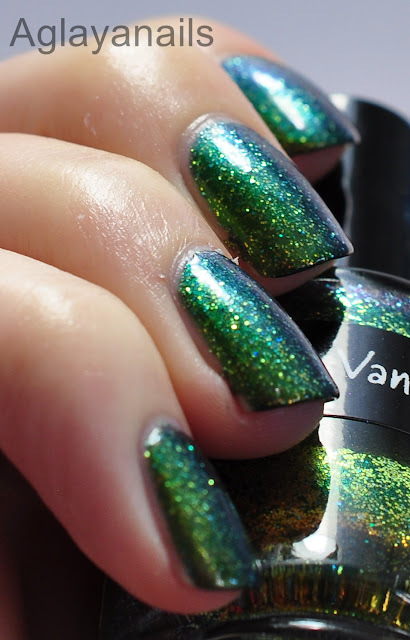 Vanaheim is a quite interesting polish, a double multichrome. 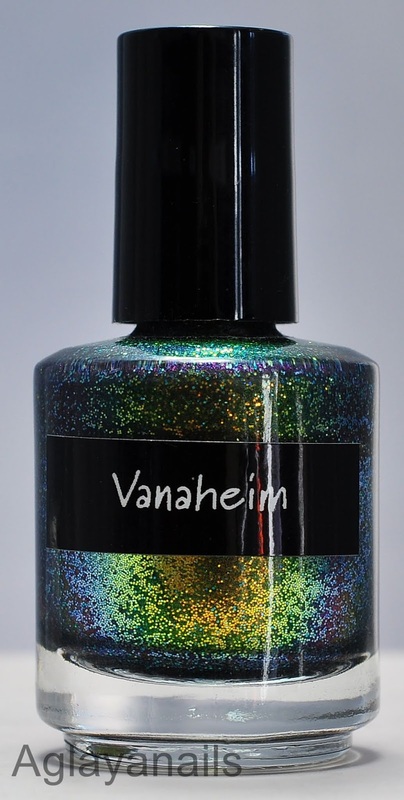 It has a colorshifting shimmer base, shifting from an almost olive green over teal to blue, and is filled with colorshifting glitters shifting from orange over gold and green to blue. 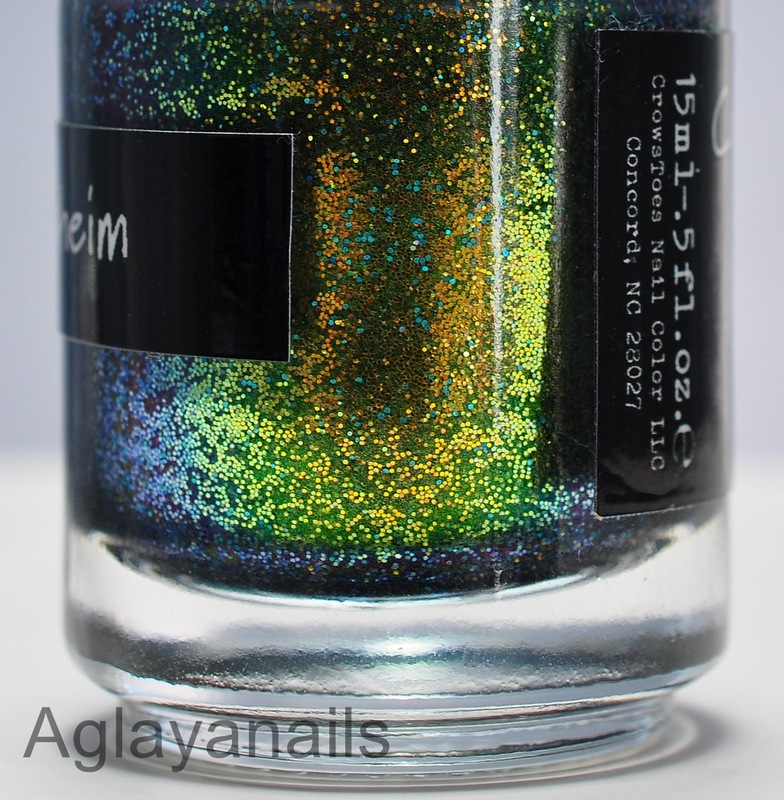 I used three coats and added two coats of KBShimmer Clearly On Top, since the small glitters are quite topcoat hungry and the surface still felt a little gritty after one coat. Crows Toes polishes are available at their own store (US only), Femme Fatale Cosmetics, Color4Nails. 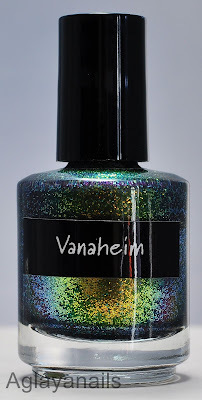 Sadly Vanaheim doesn't seem to be available anymore.